[prMac.com] Hong Kong - Driven by the growing popularity of iTunes videos, the needs in watching iTunes movies and TV shows on multiple devices are rising accordingly. Oriented by such situation, DRmare M4V Converter arrived after months of persistent efforts and tests, providing a lossless DRM removal solution for iTunes users to convert their DRM-locked iTunes videos, including movie rentals and purchases, TV shows, music videos and iTunes Extras to DRM-free MP4, MOV, AVI, and other common formats and ready-made profiles of popular devices with 1:1 ratio. Featuring a modern yet compact user interface, DRmare M4V Converter allows anyone to easily remove FairPlay DRM restriction from iTunes videos and convert those protected M4V movies, TV shows to lossless MP4 and M4V with a few clicks only. By choosing lossless output formats, it will keep all original quality of the iTunes M4V videos, including AC3 5.1 Dolby surround audio, AAC stereo sound, multi-lingual subtitles, CC, etc. without re-rencoding. 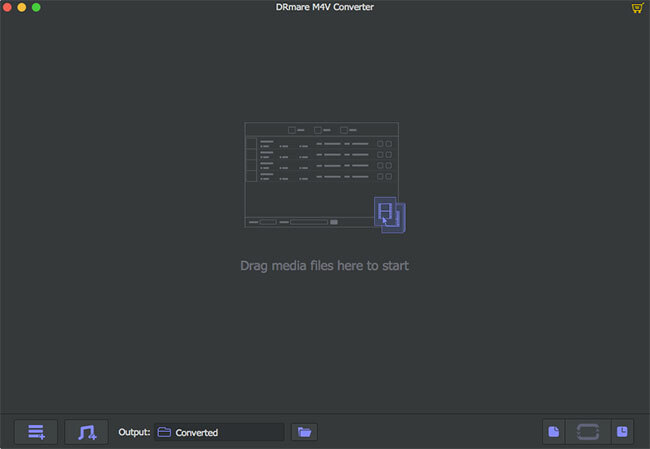 DRmare M4V Converter supports a large number of output media formats, such as MOV, MP4, MPEG, WMV, AVI, MKV, FLV, 3GP, MP3, WMA, WAV, etc. that can be customized manually regarding video codec, bit rate, frame rate, size, and more. To make it more convenient, the app also offers a wide range of preset profiles for popular mobile devices and media players, like Samsung Galaxy phones, tablets, Samsung Smart TV, HTC, Nexus, Xbox, PS4, iMovie, Apple and other non-Apple devices - Users can easily convert their iTunes M4V videos to the target players. In addition to these functions, DRmare iTunes M4V Converter version 2.0 features 30X faster speed in converting iTunes M4V to lossless MP4 format, making it stand out from other competitors on the market. * Preserve original Dolby 5.1 audio tracks, closed captions, subtitles, etc. "The unique quality about our M4V Converter over other similar products is that it performs at a faster speed while retaining the same quality as the original iTunes movies without re-encoding the video and audio tracks." said Dave, the product manager of DRmare M4V Converter. DRmare DRM M4V Converter is available for both Windows and Mac OS at $44.95 (USD) for a Single-User License and $89.95 for an Unlimited License that all support lifelong free software upgrade. It's fully compatible with the latest macOS 10.12, 10.11, 10.10, 10.9, 10.8 and Windows XP, Vista, Win 7, 8, 10. Currently DRmare is also promoting the DRM M4V Converter bundle at 50% off so that any user can get M4V Converter for Mac and M4V Converter for Windows with $54.95 (USD) only. The new releases of both Mac and Windows versions can be accessed and downloaded directly from DRmare Online Store. DRmare is an innovative software developer specialized in providing DRM removal solutions, such as DRM iTunes M4V Converter to worldwide media fans to gain the full control of their purchased digital content with DRM. Equipped with a young and passionate R&D team, all DRM removal products of DRmare are combined with robust performance and user-oriented design. Focusing on the latest DRM techniques, more new DRM removal products are being developed by DRmare Software. All Material and Software (C) Copyright 2017 DRmare Software. All Rights Reserved. Apple, the Apple logo, MacOS, OS X and Macintosh are registered trademarks of Apple Inc. in the U.S. and/or other countries. Other trademarks and registered trademarks may be the property of their respective owners.